You’re listening to a new song on Apple Music, and you really want to make sure you understand the lyrics. After all, you love the track and want to be able to sing along without mangling the words. The problem is, Apple Music doesn’t provide song lyrics right now, so what do you do? Musixmatch is more of an experience than an app. It allows you to identify what song you’re listening to, much like Shazam does, but offers so much more. Not only does it provide you with the lyrics, but tapping the artist’s icon on the top right of the screen brings up an artist’s page where you can follow the musician, play all of the tracks you have by that band or singer, view other albums, and see related groups. Musixmatch also offers you a new music player, one that can strip the vocals out of a song so you can sing along as the lyrics scroll by. A faint whisper of vocals might remain, but it’s so faint that you can easily drown it out with your own beautiful (or off-key) singing. Easy to use controls allow you to adjust how much of the voice remains and how much is you. Musixmatch is available for free on the App Store. Download it, and make sure you launch the app at least once. If you don’t want to use anything from the app except its widget, you don’t even need to sign in or give Musixmatch access to your iOS device’s microphone. 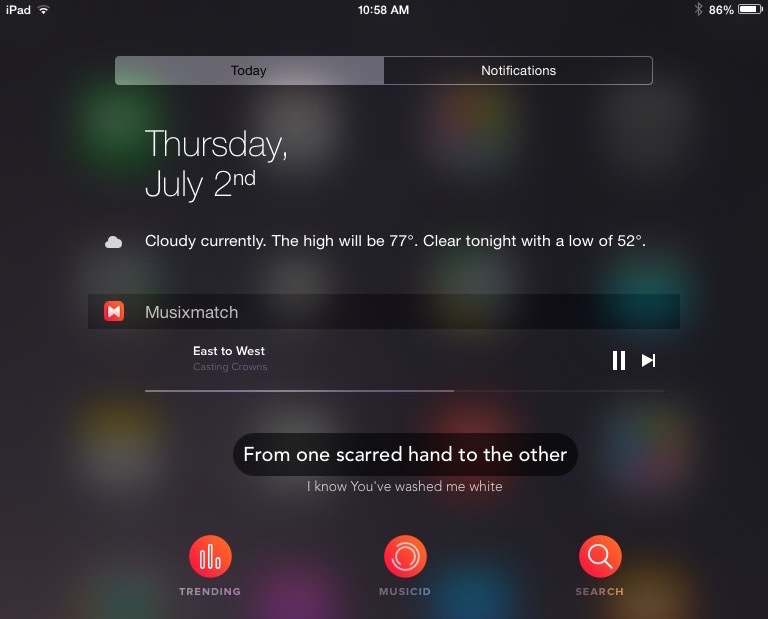 Once that’s done, edit your Notification Center widgets so you have the lyrics right where you want them. 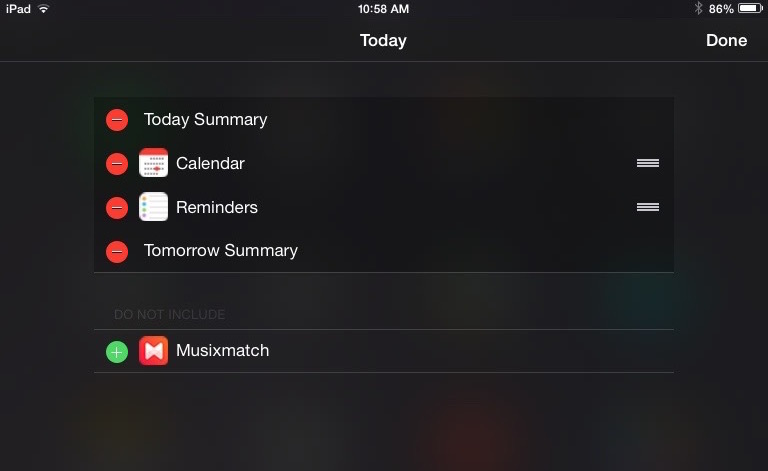 Pull down your Notification Center and tap Today. Scroll down until you see the Edit button, and tap it. Click the green plus button next to Musixmatch, then drag the widget where you want it. Finally, tap Done in the top right corner of the screen. 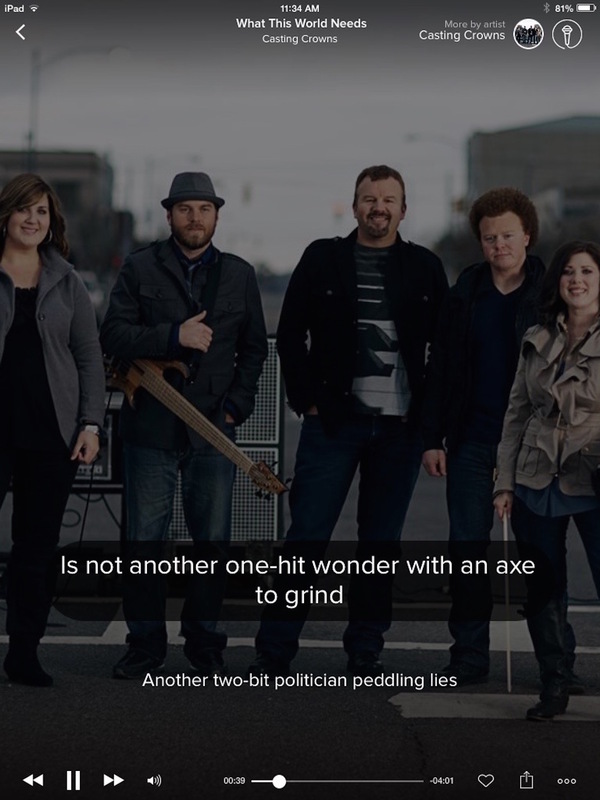 After a few seconds of your music playing, you’ll start seeing the lyrics right there in your Today view, as they are sung. 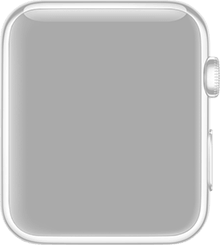 There is even better news for Apple Watch wearers. What’s really cool about Musixmatch is that there is a companion app for the smartwatch, so you can view the lyrics in real time. See it in action in the embedded widget below, or click this link if it doesn’t appear. Musixmatch is very cool, because it shows you the lyrics as they’re sung. You can easily turn your iPhone or iPad, plus your Apple Watch, into your own type of karaoke system. Or, you can just jam along and learn the song for the next season of “The Voice.” It’s up to you. If you sign up for Musixmatch Premium, you can even stream the lyrics to your television via Apple TV. 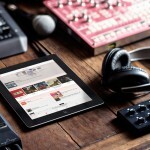 Musixmatch is designed for iPhone, iPad, and iPod touch. An in-app purchase of $3.99 gets you Musixmatch Premium for six months, or $4.99 for a full year. 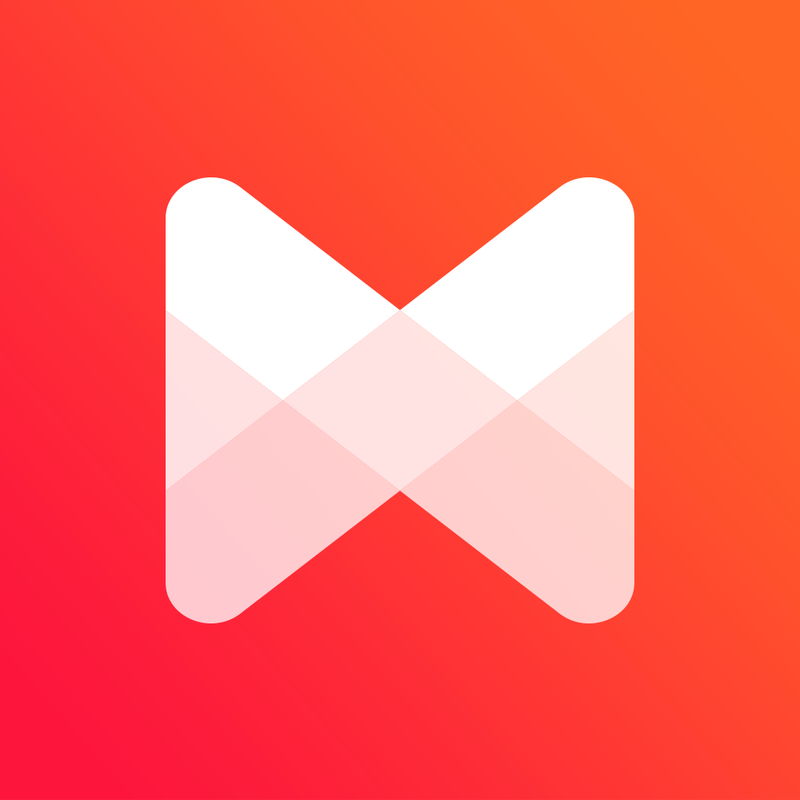 Musixmatch Premium removes the ads and gets you TV streaming. 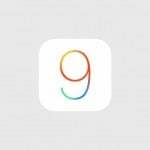 When will app developers receive iOS 9 beta 3, Apple Music?